Api 5L X56 Seamless Pipe Supplier & ISO 3183 Gr.L245, L290, L320, L360, L390, L415, L450, L485 Line Pipe, Erw Pipes, LSAW & Welded Pipes Stockist. We supply Carbon Steel Pipe at very competitive prices of good quality.Ready Stock : Api 5l X56 Carbon Steel Pipes, A106 Seamless Pipe, Sa192 Boiler Tube, Astm A179 Pipe, and A333 Pipe Carbon Steel. if you are looking for latest price list of Api 5l X56 Line Pipes from India, we provide free seamless of welded Api 5l X56 Seamless Pipes along with price list of all size range and all grades of Carbon Steel. 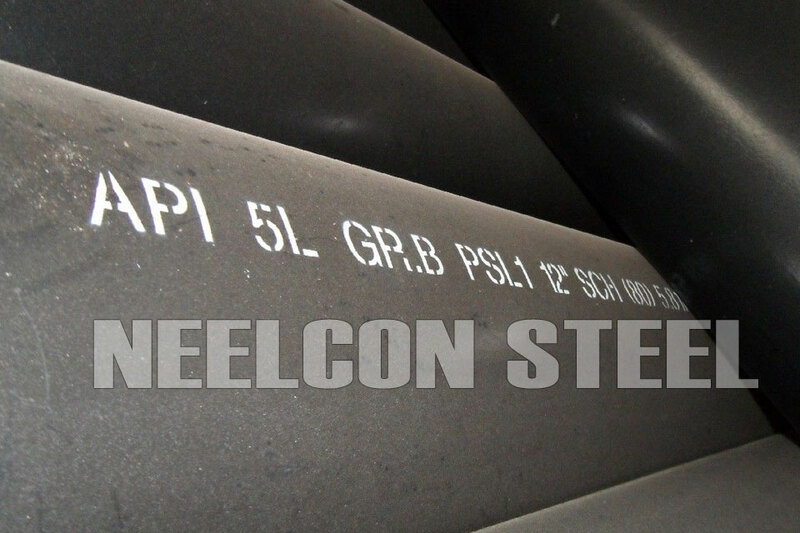 Neelcon Steel is having dealers & distributors of Api 5l X56 Erw Pipes in india, Thailand, Malaysia, Indonesia, Singapore, Vietnam, South Africa, Tanzania, Morocco, Gabon and many countries of USA & Europe, we are 4th largest stockist of Api 5l X42 Carbon Steel Pipes in Mumbai, Maharashtra and Gujarat, India, Neelcon Steel is one of the highly manufacturer & stockist of API 5L X56 PSL 2 Pipe and industrial carbon steel pipes in all grades of Carbon Steel A106 GR. B Pipe, Carbon Steel A333 GR 6 Pipe, Carbon Steel LSAW Pipes, CS ASTM A179 Pipe, Astm A192 Boiler Tubes, Trusted Supplier of API 5L X56 Gas Pipe, API 5L X56 Oil Pipe exporter in India, Api 5l Grade B X56 pipe manufacturers in India, Api 5L X56 Seamless Pipe Suppliers. Api 5L X56 Seamless Pipe : Other similar group grades GR A, GR B, X42, X46, X52, X56, X60, X65, X70, X80 etc. Grade X56 indicates 56000 PSI minimum yield strength and 71000 PSI minimum ultimate tensile strength. NP in O.D mm W.T mm Kg/m. API-id./ Sch no. Lng/m.